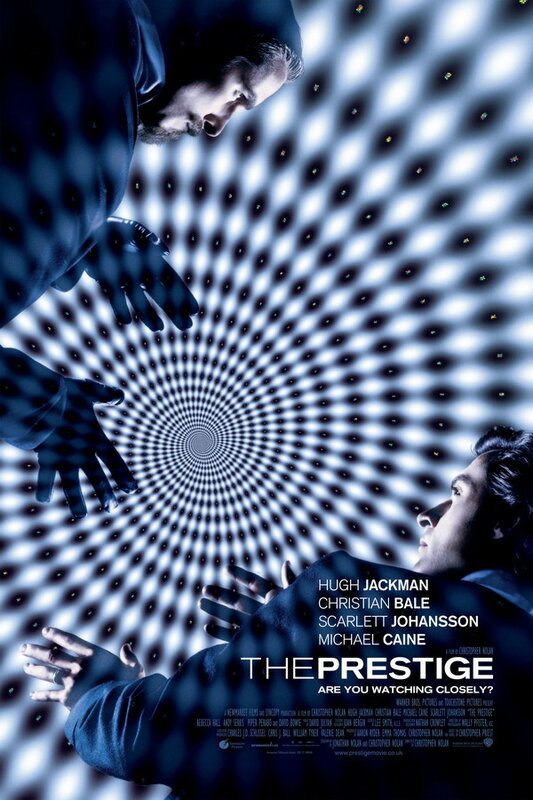 The Prestige font here refers to the font used in the poster of The Prestige, which is a 2006 mystery thriller movie that centers on two rival stage magicians, who engage in competitive one-upmanship with tragic results. The movie title in the poster is probably set in Akzidenz Grotesk, with the word “the” in Akzidenz Grotesk Ext and “Prestige” in Akidenz Grotesk Ext Med. The typeface is a commercial one and you can view more details about it here. In addition to The Prestige, Akzidenz Grotesk typeface is also used in the following logos, movie posters or album covers etc., including: Luton Airport, 2016 US Presidential Campaign, In Time, Energizer Logo, The Town, The Biography Channel, The Sweeney, Analog Devices, Above & Beyond (Band), Promised Land, Playing for Keeps, The Next Three Days, Tabloid, Dunkirk (film), New Surrender.